Since its release back in 2016, the Google Assistant has seen a number of redesigns to the interface, settings, and Explore tab. 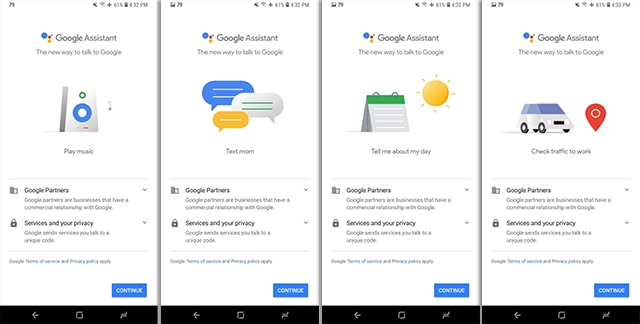 Now, Google has started rolling out a new UI redesign for the initial onboarding experience on the Assistant, according to a recent report from 9to5Google. The new walk-through screen for onboarding has been broken down into categories that tell you exactly what data will be shared. The onboarding shows a series of animations that highlight the Assistant’s capabilities. The ‘Services and your privacy’ section mentions a new security feature, which doesn’t appear to be live yet. 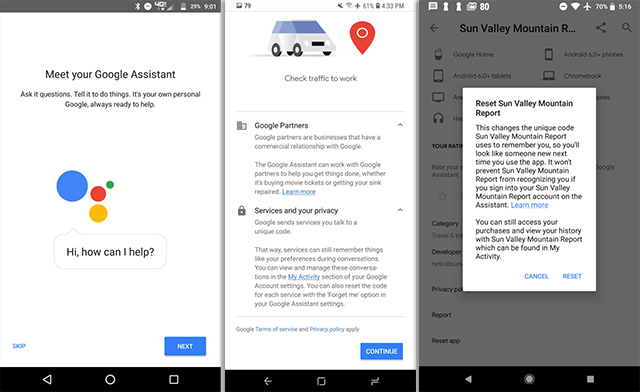 The feature, according to the description, states that “google sends services you talk to a unique code” which allows the services to “remember things like your preferences during conversations.” The prompt also notes that users “can also reset the code for each service with the ‘Forget me’ option” in the Google Assistant settings. Currently, navigating to the listing of used Action allows users to “Reset app” which effectively changes the “unique code” mentioned earlier. 9to5Google speculates that given the new setup, it’s possible that the company is planning redesigned privacy features for the Assistant with better options, starting off with the ‘Forget me’ option and other user facing controls. The UI update is already live on the latest stable (v7.25) and beta (v7.26) versions of the Google app and you can check out the new setup UI by resetting the Google app. The feature could also be introduced as a way to comply with the General Data Protection Regulation (GDPR) in the EU, which requires companies allow users to delete or export the data they store easily and in a transparent manner.